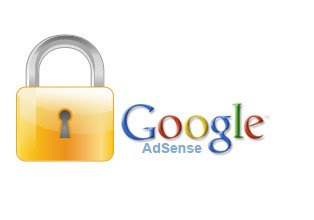 Most adsense publishers are familiar with http cookies (or web cookies). They are a small parcels of text sent by a server to a web client(browser) and then sent back unchanged by the client each time he/she accesses that server. But the term Web beacon may be new to you. A web beacon (also known as tracking pixel or pixel tag or clear GIF) is a small transparent graphic image (usually 1 pixel height and 1 pixel width) that is placed on a website or even in an email that is used to moniter the behavior of the client/user visiting the webpage, to find out some user information like IP address,etc. do you have tips on: add file that can be download by reader on blogspot? Wew.. I do not know that info, is it important? the link is working fine here.. Pls try again! "do you have tips on: add file that can be download by reader on blogspot?" One of the most useful blog i have ever seen. but if i dont have this policy did they kick me out!!! hello,dear can you tell me,where to past the html code. XML error message: The element type "meta" must be terminated by the matching end-tag)thank you. This is no where realted to Meta tags. Do you know how to make a blog post na..? After publishing the post, you get a direct link na.. to that post..? and link to that copied url and save the changes.. that's it! Half completed... half still remaining..
wish it would generate a policy in other languages. Any one know of one? You can always generate it in English then use a translation site, like babel fish etc to translate it to your native language.